WELCOME HOME to the highly desirable community of VALRICO GROVES! 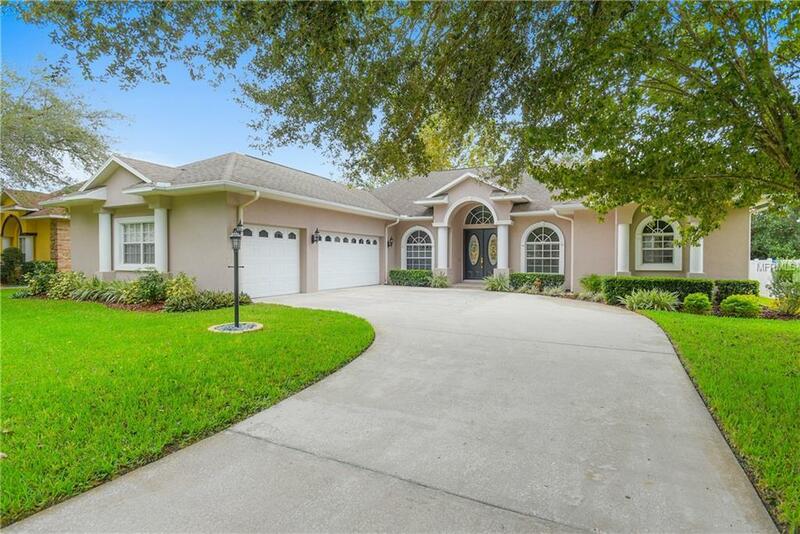 This wonderful POOL HOME has been meticulously maintained and is PERFECTLY MOVE-IN READY! BRAND NEW CARPET AND FRESH INTERIOR PAINT THROUGHOUT (2018)! Featuring 4 BEDROOMS, 3 FULL BATHROOMS and a 3-CAR GARAGE, this sprawling home sits on a wonderful lot that offers a canopy of MATURE OAK TREES and a FULLY FENCED, PRIVATE backyard with no immediate backyard neighbors. There's plenty of space for the entire family, with its split-bedroom layout and HUGE FAMILY ROOM adjacent to the WIDE-OPEN KITCHEN overlooking the POOL AND SPA area. Relax in this LARGE and WELCOMING MASTER RETREAT with SITTING ROOM that opens to the lanai and pool/spa, in addition to the EN SUITE MASTER BATH. POOL HEATER, FILTER AND PUMP REPLACED IN 2015, and a COMPLETE POOL CAGE RE-SCREEN IN 2018! NEW A/C IN 2017! All kitchen appliances and water heater are also newer. FANTASTIC SCHOOL DISTRICT! Conveniently located near everything Valrico and Brandon have to offer, including dining, shopping, and all major highways for an easy commute! Don't miss out! Make your appointment today and MAKE THIS HOME YOURS! Additional Lease Restrictions Lease Restrictions Are Accurate To The Best Of Sellers' Knowledge. Buyer/Buyer's Agent To Verify.